After Jason West and Vince Zampella were dismissed from Infinity Ward in 2010, the gaming world was uncertain of what the formidable duo would do next. 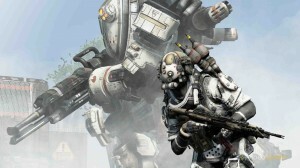 Soon after, they announced they’d started their own company – Respawn Entertainment. 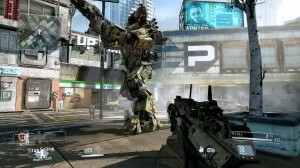 It would be another three years before the group would announce their first game at last year Electronic Entertainment Expo – Titanfall. While the game was originally developed for PC and “existing consoles”, the game would be the flagship for the Xbox One at E3. For those who are at all familiar with my personal tastes in video games – multiplayer is very much towards the bottom. Aside from co-op modes like Horde (Gears of War) and Firefight (Halo), I tend to play for a few hours and then never go back to it. I’ve played a decent amount of Call of Duty over the years, but there’s no denying that that franchise has gotten very stale. So, naturally, I was skeptical about the hype surrounding Titanfall. After downloading the beta in February, I was sold. A lot of people just write off Titanfall as a carbon clone of Call of Duty due to its run-and-gun nature, but that is a major disservice to just how great Titanfall is. Camping has been a major issue in shooters and one of the best aspects of Titanfall is that camping is almost impossible. Due to the fast paced nature of the game, if you try and camp you’re going to be killed a lot quicker than speeding across the map. If you choose to camp, not only will you die a peasants death, but you’ll also miss out on one of the most fun aspects of Titanfall – the parkour system. Pilots are equipped with a jetpack, allowing them to quickly traverse the environment. Movement is your friend in Titanfall. Say you see someone on the other team on the adjacent rooftop, how do you get to them if your weapon is out of range? Well, you can sprint across a rooftop, wall run across a decrepit billboard and double jump over to a roof on the other side of the street to set yourself up for that great kill. The accessibility it gives you for each map is fantastic. Each map has a great balance of tight areas for close quarters combat and giant areas perfect for a giant titan battle. They span lush tropical areas to baron deserts and futuristic space bases. The amount of maps available at launch (fifteen) is definitely a major perk for Titanfall, as it keeps matches feeling fresh over extended periods of time. 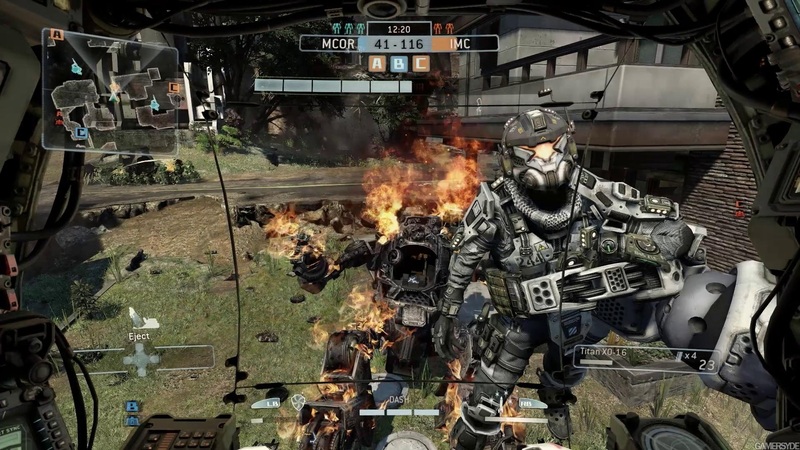 While Titanfall sticks to a 6v6 format, it won’t just be twelve players in the match. Titanfall implements squads of AI controlled grunts (human soldiers) and spectres (tougher robotic enemies), both of whom are nothing really more than canon fodder. During the beta it was hard to see the point of the AI, chances are if you started shooting at a group of them you’d soon find yourself dead by the hand of a pilot. But after really immersing in the game, they do help to flesh people out and keep the action moving at a frenzied pace, even if it isn’t always for your own sake. If, like me, you’re not the best at online multiplayer, it allows you to still get kills and earn points to help not only your team, but also your own level progression via challenges. Due to how scoring works in Titanfall, there’s a mode for everyone. Attrition (team deathmatch), Capture the Flag and Pilot Hunter are great for padding your K/D (kill/death) ratios, especially with the inclusion of bots. Hardpoint is great for those who aren’t as good with the run-and-gun style of Titanfall, where you can just hang back and just defend points of interest and get your hands dirty in smaller doses. Last Titan Standing (everyone starts in a titan, no respawning) is just absolute pandemonium, but if everyone works together as a team – it can be really addicting. Speaking of titans, titan gameplay is wonderfully chaotic. When I first started reading up on Titanfall, it seemed as though the titans would be some sort of high-tier perk that only good players would be able to acquire, but thankfully that’s not the case; this goes back to the great balance that Titanfall has. Every player will receive at least one titan per match (usually two, three if you’re quite good). 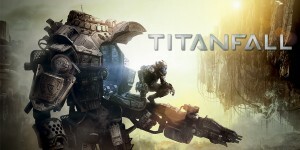 While each player will get one, getting kills (whether they be AI or humans) will shave valuable seconds off the clock until your next titan is available. Much like your upgrades for each pilot weapon, you’ve got tons of perks and weapon variants for your titans. You can choose the type of titan – Atlas, Stryder or Ogre – and then you can choose their primary weapon, tactical ability, ordnance package and two perk kits. Ordinance packages can include rocket salvos, slaved warheads, cluster missiles and a multi-target missile system. Your perk kits can come in several different varieties as you can level up. You can choose a nuclear ejection, which causes a major explosion when your titan is destroyed, a fast autoloader (which causes your ordinance to load quicker) or allowing you to auto-eject when your titan is doomed. The variety you’re given definitely allows you to mold your perfect titan. Respawn has also introduced Burn Cards, which are a one-time use perk that lasts the length of one life. These can range from an immediate titan drop to increased weapons damage to infinite grenades. These can help turn the battle in your favor…or you can die soon after using them and they don’t help at all. That’s the beauty of them: balance. Unfortunately you’ve got to use them, as you can’t infinitely stockpile them like I wanted to do, but they’re still great, especially if you get one for a weapon you haven’t unlocked yet. 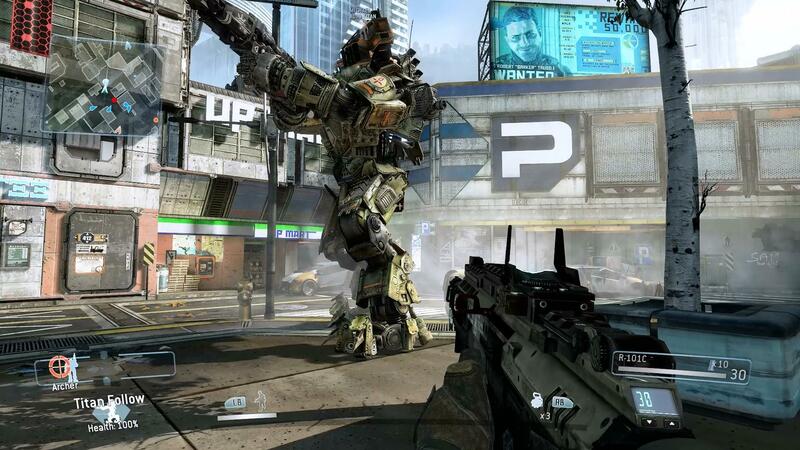 Unfortunately, there are a few disappointing drawbacks to Titanfall. The so-called “campaign” being the biggest one. While Respawn lists it as a campaign, it’s nothing more than a few matches of attrition and hardpoint, with a few cinematics that are supposedly there to set the story of why the IMC and Militia are fighting. Having played through the entirety of the IMC campaign and roughly ¾ of the Miltiia, it left a lot to be desired. While it was a decent use to unlock the ogre titan class, it ends up not hitting the mark, especially for someone who enjoys story over multiplayer. The only other complaint I have is the lack of private matches and ability to choose the map you’ll be playing on next. While Respawn has said they’ll be fixing private matches soon by way of a free patch, it was a disappointing no-show at launch. Given what shooters like Halo have done for multiplayer gaming, it’s amazing that Titanfall doesn’t give you the ability to choose the next match by way of voting. Overall, the fact that I’m still playing this game should speak to just how fun it really is. I think the highest rank I’ve ever achieved in a multiplayer game was around level 20 and I’m around level 28 in Titanfall right now with no signs of stopping. It’s balanced enough that those of us who are challenged in the multiplayer universe are able to put up a significant fight and help our team, rather than just drag them down. There’s a great variety of maps and weapons that you can continue to unlock things at a pace that feels challenging while not being too tedious. 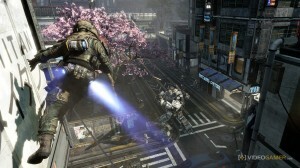 If you’re a fan of multiplayer gaming, you’ve got to be impressed by what Respawn has been able to do with Titanfall. 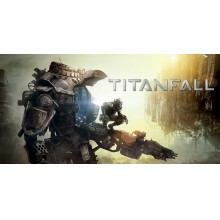 Titanfall manages to stay true to the formula that has made the first person shooter genre the most popular genre in gaming, while simultaneously giving it a much needed makeover and boost of adrenaline to keep it going in the direction it needs to go. Well done, Respawn. + Great balance allows players of all skill levels to succeed. + Seeing your Titan drop from the sky never gets old. - Steep $60 price tag for just multiplayer. - Lack of modes; private matches.